A high energy mineral supplement rich in iron in a sweet tasting sorbitol base. 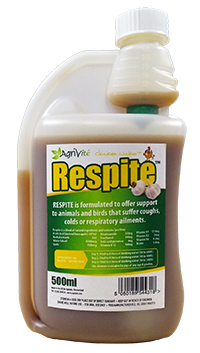 Provides all round support for poultry but is especially recommended for birds recovering from mite infestation, for support during moulting or for any birds not looking in the peak of health. Easy to use, economical and can be added to the drinking water for the whole flock. 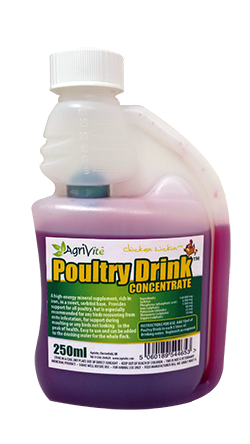 Be the first to review “Agri Vite Poultry Drink 500ml” Click here to cancel reply.